An empty conical cylinder is placed on a tray. A single dart flower is placed into it. When the cylinder is picked up, the dart is still on the tray and no magic has happened so far. This is repeated once again. 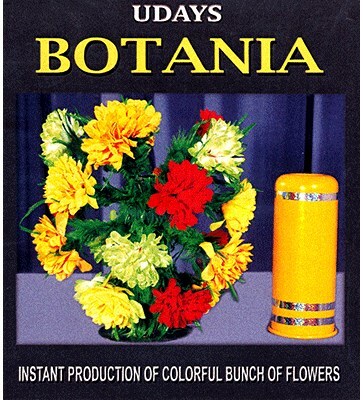 Only this time, the magician does a few magical passes and when the cylinder is lifted, the single dart is found transformed into a huge bunch of very colorful flowers. Comes complete with Bontania of cloth flowers, single dart flower, wooden tray and instruction sheet.